Earlier this month, I had the privilege of heading to the Home of Blues, Soul & Rock ’n’ Roll for the 6th Annual Digital Project Management Summit. 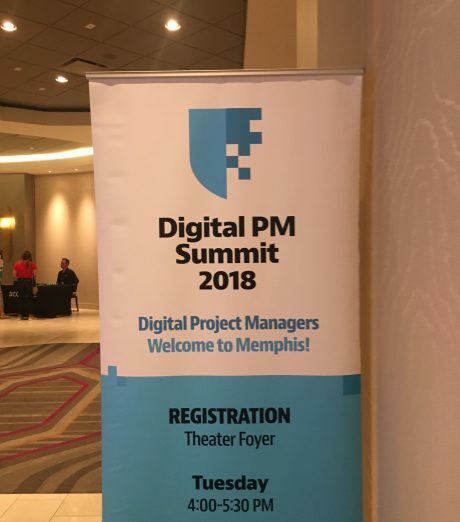 Hosted by the Bureau of Digital in Memphis, TN, the Digital PM Summit brought together almost 300 digital project managers for two days of presentations and sessions dedicated to, well, managing digital projects. When visiting the Home of Blues, Soul & Rock ’n’ Roll, is there a better place to start than the estate of the king of rock ’n’ roll himself? 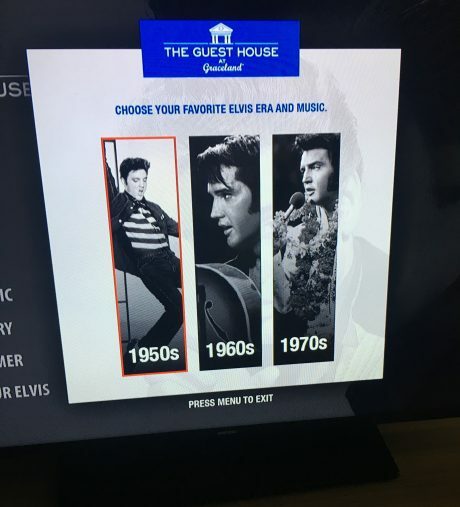 The Summit was held at The Guesthouse at Graceland, located right on the grounds of Graceland and filled with ways to pay tribute to Elvis, including Elvis music playing throughout the hotel, in-room on-demand Elvis by decade (it was ‘50s all the way in my room), and hidden nods to Elvis throughout, like the dog tag-style pattern of wallpaper in the bathroom that pays homage to his time serving in the military. One of the most critical parts of the summit was the Breakout Sessions. Each day the presentations paused for an hour and a half of roundtable discussions in small groups with other project managers in similar companies who manage similar projects. (What’s up Ballroom E!) Topics included project management tools, challenges and triumphs, communication tactics, planning, and more. It was comforting to learn that a lot of us face the same challenges. 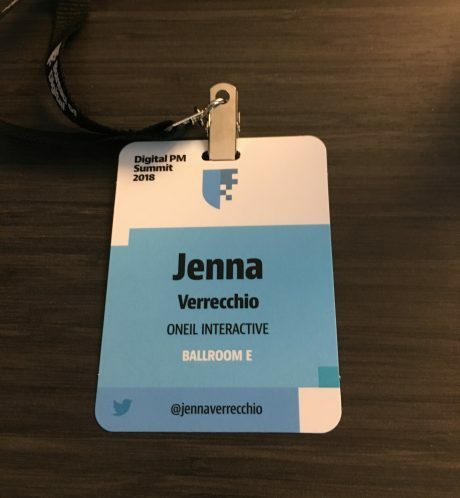 I hope I was able to share some wisdom about the way we do things here at ONeil, and I definitely brought home a few new ideas I can’t wait to try. While the presentations were awesome, the connections made during the Breakout Sessions were invaluable. 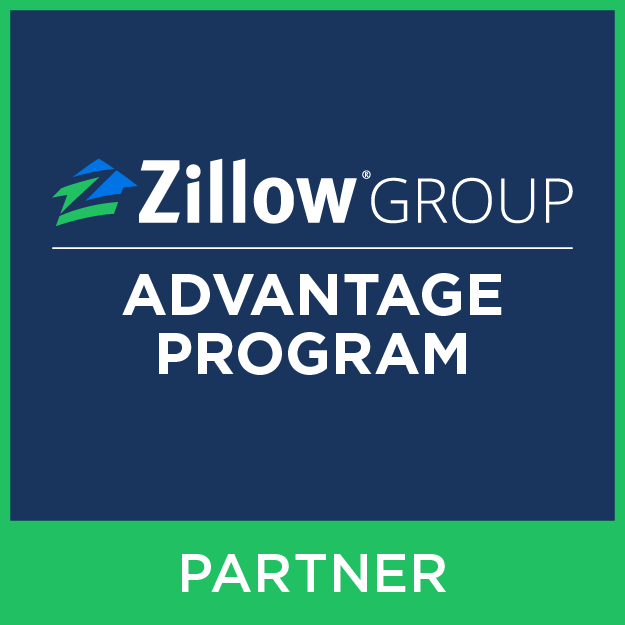 I’ll be anxiously awaiting the details on next year’s summit, but until then I’m looking forward to putting some new plans in place and staying connected to the great community I met. Hope to see you next year, Digital PM Summit!